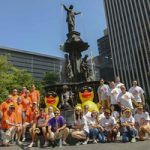 Many volunteers supported the Rubber Duck Regatta throughout August, on the day of the event and even days after the ducks went swimming in the Ohio River. 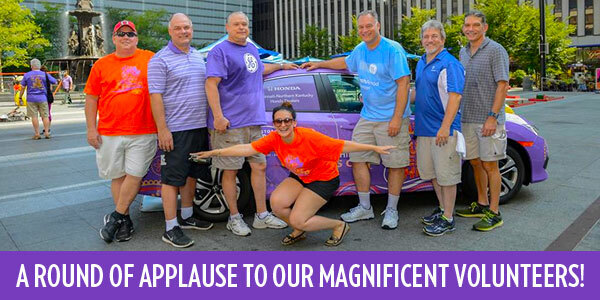 Without their dedication and support, our largest fundraiser would not have been so successful. 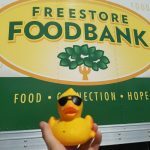 The Freestore Foodbank is greatly appreciative for all the work and commitment shared by our awesome volunteers! Thank You Quacky Games Volunteers! 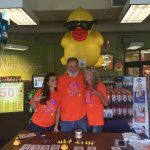 Selling ducks can’t be more fun than at a WEBN Party! It’s going down on Saturday, August 6th at Fountain Square. Volunteers will help sell ducks during the party. Find out more and sign up for this fun event by Clicking Here. Volunteers helped sell ducks at the Anderson, Harper’s Point, Oakley, Delhi, Hyde Park, Newport, Western Hills, Mt. Orab, and Lawrenceburg Kroger stores each weekend in August. Donors had an opportunity to pick up some “duck swag” with their duck purchases in addition to complete their weekly shopping at Kroger. What a fun way to spend a Saturday or Sunday afternoon! Thank you Kroger Weekend Duck Sales Volunteers!! Did you register your duck by calling the duck line? If you did, you were probably assisted by one of our many esteemed volunteers. Volunteers helped out throughout the month of August taking duck sale calls from you and many others. We truly appreciate all of the volunteers who helped us answer phones and secure duck sales. What is the Rubber Duck Regatta without Quacky?! 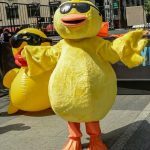 Quacky wanted to send a huge and hearty THANK YOU to all of the volunteers who braved the extremely warm costume to make children and adults giggle and laugh during Quacky’s many appearances. Quacky couldn’t have “quacked” without YOU! We made it! 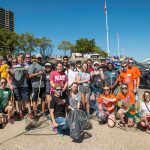 On Sunday, September 4th at Serpentine Wall and Newport on the Levee, volunteers flanked the river at both venues selling ducks! Volunteers assisted with setting the ducks free off the Purple People Bridge and after the splash and the big race they helped scoop the ducks from the Ohio River and load them into our trucks. 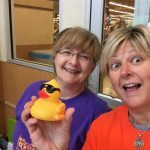 Way to go Rubber Duck Regatta Volunteers!! 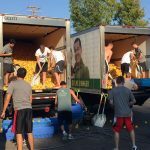 For the past few years, the Xavier University Men’s Swim Team has unloaded, washed, rinsed, and repackaged more than 160,000 racing ducks on Labor Day morning at our Mayerson Distribution Center. They come with enthusiasm and a competitive nature to beat their previous completion time. They have a system they use and we pretty much step back and let them do their thing. Thank You XU Swim Team for sending the ducks out in style! Are you in need of a company project during the holiday season or just looking for a new family tradition for your family? We have a great project just for you! Share in the spirit of the holidays by helping other families enjoy the season. Become a donor and purchase gifts for one of our Freestore Foodbank families that participate in our Housing, Direct Rent, and Shelter Diversion programs. 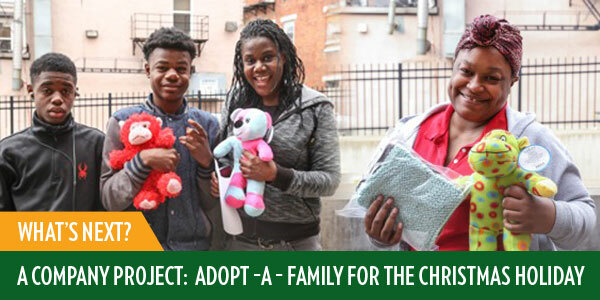 Adopt – A – Family is an annual program that helps over 200 customers during the holidays. 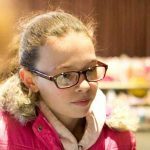 Your generosity will provide a great sense of value and worth to these families and clearly demonstrate in a meaningful way that others really care about them. 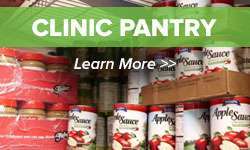 For more information about adopting a family or helping with gift purchases, please email: adoptafamily@freestorefoodbank.org or call 513-720-6099. The Holidays are Coming Soon: Be on the lookout in the October Volunteer Connection issue for our Holiday Roundup of Upcoming Events! Check out the volunteer registration and information page to learn how to sign up to volunteer for our ongoing group and individual volunteer opportunities at the Mayerson Distribution Center, Customer Connection Center’s Liberty Street Market, and Giving Fields. 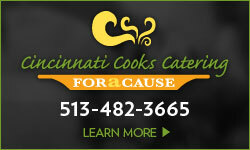 would like to organize a canned food drive, please contact Bob Barnes at 513-482-4517. Are you interested in becoming a member of the Freestore Foodbank team? Please click here for our current employment opportunities. Thank you to the following groups for your support August 2016! We sincerely appreciate their continued support and contribution of their time. Looking for a new way to strengthen your team’s ability to communicate, problem-solve and manage conflict while improving your opportunities to provide successful outcomes? Looking for an opportunity to not only grow stronger as a team internally, but to make an external impact on the community? Consider FeedingWorks, the Freestore Foodbank’s social enterprise. FeedingWorks is a unique combination of professional leadership development and the transformational experience of a team working together to make a tangible difference in the lives of others. Teams form genuine bonds through this experience which is based on the principle of giving back while developing yourself and your team. 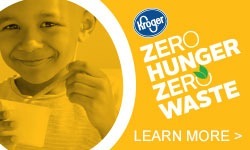 For more information about how your company can benefit from FeedingWorks, please visit www.feedingworks.com.